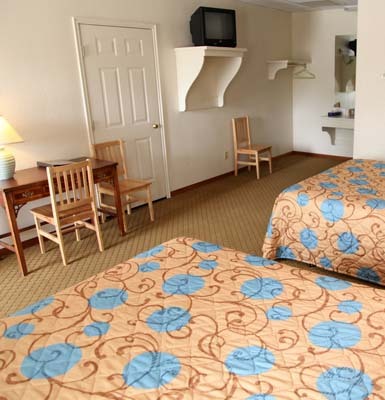 At our Bryce Canyon lodging, you will find all the accommodations you need to make your stay at the Grand Staircase Inn convenient and comfortable. 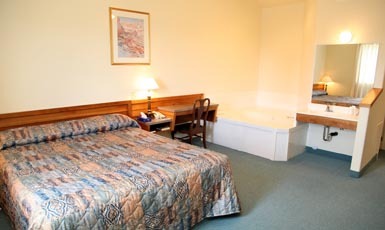 Three double queen rooms with doorstep access directly from your vehicle. 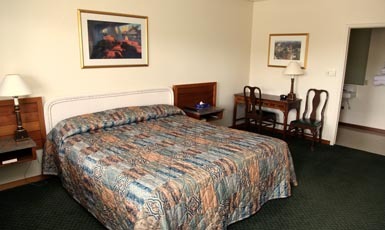 It also includes two handicap accessible rooms (available upon request) that have been furnished with a roll-in shower. Interior access and feature one or two king beds. Interior access with two queen beds in each room. Ample living area, vaulted ceilings, and culture marble vanities with a great view of the Grand Staircase Escalante National Monument. Book your stay near Bryce Canyon online today. 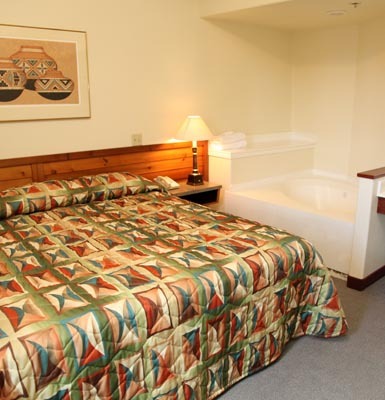 Our Bryce Canyon lodging also offers your choice of two Jacuzzi suites. The Red Rock Anniversary Jacuzzi Suite features second floor access and south facing view of the red rock and Grand Staircase Monument. The Promise Rock Honeymoon Jacuzzi Suite offers top floor access and south facing view of Promise Rock and Grand Staircase Monument.